Watching live sports inside an arena is a special experience. It’s an opportunity to see world-class athletes in person; to be immersed in an energetic atmosphere among thousands of fans. And, perhaps, a chance to get a free promotional item as part of the deal. 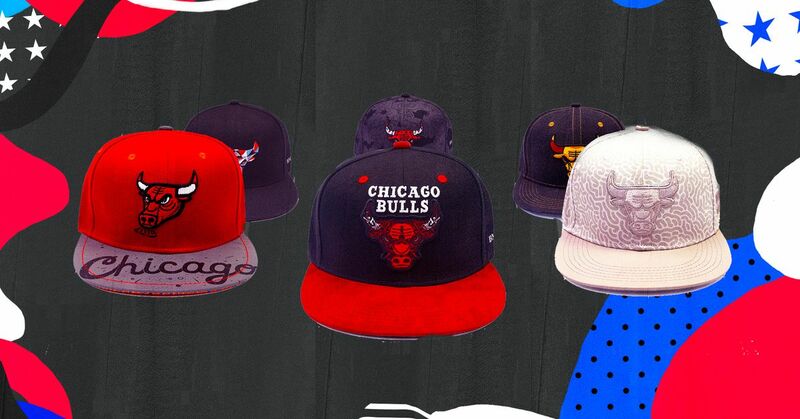 Last season, the Chicago Bulls took arena giveaways to the next level with their first Chicago Artist Hat Series. The team enlisted six artists to each design their own limited-edition hat, riffing on the Bulls logo. They were more elaborate than simple snapbacks featuring the classic bull head logo and colors. From the front graphic, to the colors and materials used, down to the patterns on the underside of the brim, artists were given the creative freedom to do what they wanted. And the only way to get one of the hats was to be one of the first 10,000 fans in attendance at select games. The hats let fans not only show off their connection to the Bulls, but also to Chicago, thanks to the artistic ways the creators incorporated their visions of the city into their work. They were an example of a giveaway at its best — a gift that signified more than the fact that you happened to be at a game on a specific date. This season, the Bulls kicked off their second Chicago Artist Hat Series in December, with six new artists and six new hats, which will run until the sixth giveaway in late March. Zissou Tasseff-Elenkoff, a local designer and printmaker, was tasked with curating artists for the series. He owns All Star Press, a sports art gallery located in Chicago’s Logan Square. Last season, he worked with the Bulls on their game poster series, but this season is the first time he has been involved with the hats. “I basically picked out five other artists — six, including myself — who I thought would represent the Bulls well, represent Chicago well, and also bring a different style, a different vibe to the series while still being pretty coherent as a whole,” Tasseff-Elenkoff says. Tasseff-Elenkoff has experience with hats, having designed the ones that he sells at his gallery. But designing a hat, a three-dimensional object, is different than creating art on a two-dimensional canvas. The different parts of a hat, the materials, the embroidery, and more, must all be taken into consideration. He kept this difference in mind when choosing the rest of the artists. Louis De Guzman was the first artist featured in the series this season. A visual artist and designer based in Chicago, he has worked for brands like Air Jordan, Converse, Gatorade, Red Bull, Nike, and the NBA. His hat was the giveaway at the Bulls game on Dec. 7. De Guzman was born and raised in the Chicago area and grew up a Bulls fan, which made this project “a childhood dream come true.” He said he had always wanted to pursue art and work with the Bulls. De Guzman’s parents emigrated from the Philippines in 1986, and his family would celebrate American culture with basketball. His aunts and uncles would have parties for the Bulls’ championships and other basketball games. When it came to developing the design, De Guzman said the Bulls gave him “free range to (his) creativity,” allowing him to maintain his “geometric abstraction” style. For Kate Lewis, an illustrator and muralist based in Chicago and Miami, she found the freedom to be “almost confounding.” Not only does she rarely get opportunities like the Bulls presented, but the Bulls are also already an iconic worldwide brand. The hat Lewis designed was given away on Jan. 19 when the Bulls faced the Miami Heat. Her love of architecture inspired the geometric bull’s head logo and typographic elements of the design, but the color palette was inspired by her pride for the Windy City. When it came to the more technical aspects of the hat, Lewis worked with Jon Shoemaker, the Bulls’ director of creative services. Prior to the process, she hadn’t realized just how much there was to consider when designing a hat. But with Shoemaker’s help, she came up with the idea to have different threaded sections of the bull’s head logo be raised and lowered, giving it dimensions. Unlike De Guzman, Lewis didn’t grow up a Bulls fan and doesn’t consider herself a sports person. The first sports work she did was for Tasseff-Elenkoff, who commissioned her to do six drawings of sports stadiums, including the Bulls’ United Center, for All Star Press. To create a hat design from scratch, Lewis consulted the sports people she knew to figure out what they liked in terms of design. Lewis is used to seeing her artwork displayed in public. But getting to see thousands of people wearing something see designed is another level of excitement and disbelief. “I think the real moment that it sinks in will be once I’m at the game, and I’m surrounded by 10,000 people at a 360-degree angle, wearing something I design,” Lewis says (we spoke before her hat debuted). “Like right now, I’ve had the experience of walking into Revolution Taproom and seeing one of my prints framed on the wall. I’m like, ‘Oh, my God. I can’t believe this!’ I’m overwhelmed. This article was reported in collaboration with Dat Winning.